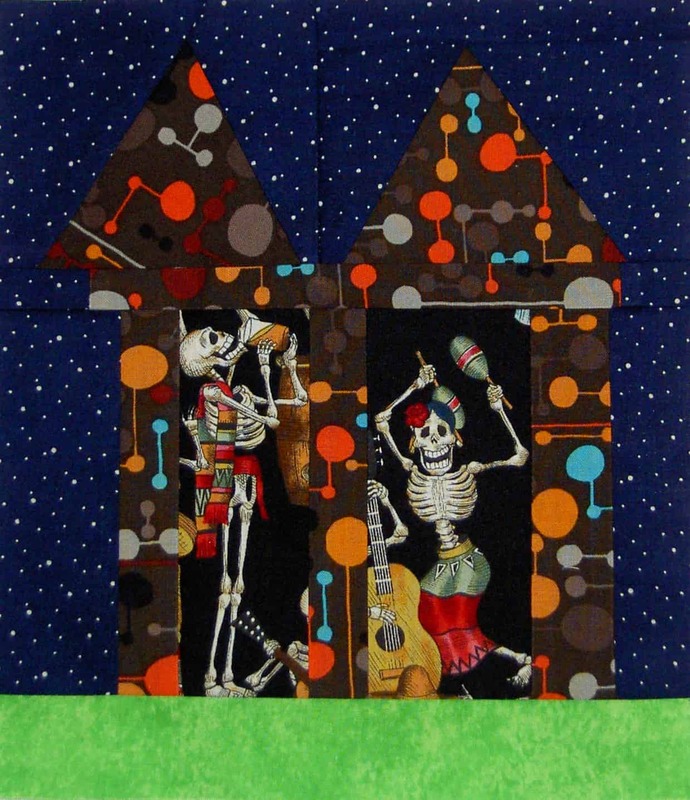 Julie, over at High Fiber Content, has been making Halloween Houses for some time. You can see her most recent post about the project. I found some cool skeleton fabric few months ago with the intent of making her some houses. 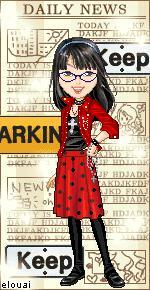 I didn’t do it right away, because I was busy and also because I started to doubt whether it was a good idea or not. 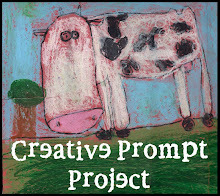 I am not sure if it is a friendship block project or just a project she is working on herself. In the end, as you can see, I made the blocks. After 25+ years of giving gifts to someone, a person has to get creative. If she doesn’t like them, she can put them the back. 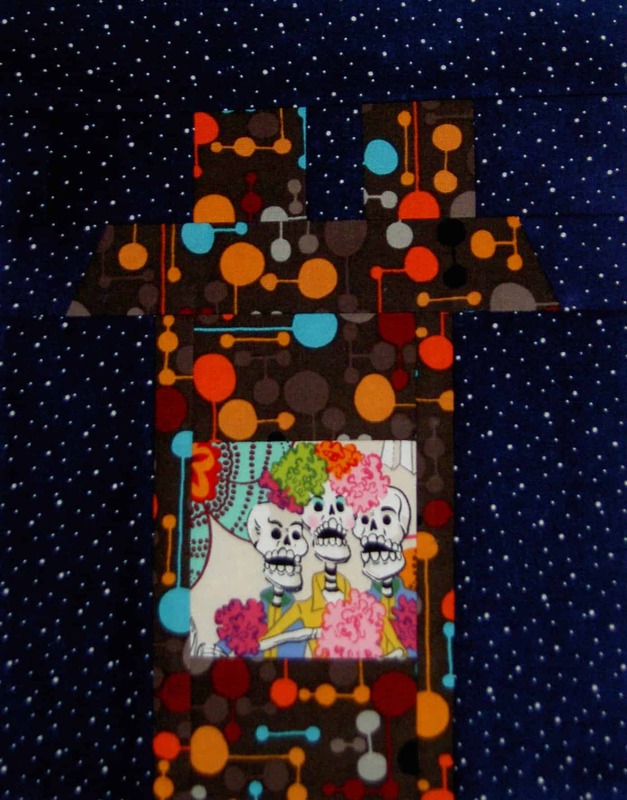 The above block uses some Dia de los Muertos fabric I found somewhere as well as some Jay McCarroll fabric for the walls and roof of the house. 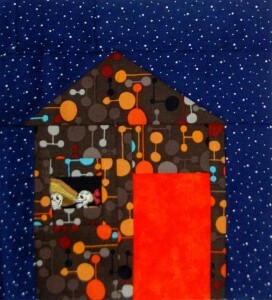 I intended to use the same Liberated Quiltmaking technique I used for the Women’s Work 1 quilt to build the houses. That was a fun technique when I was in the class. 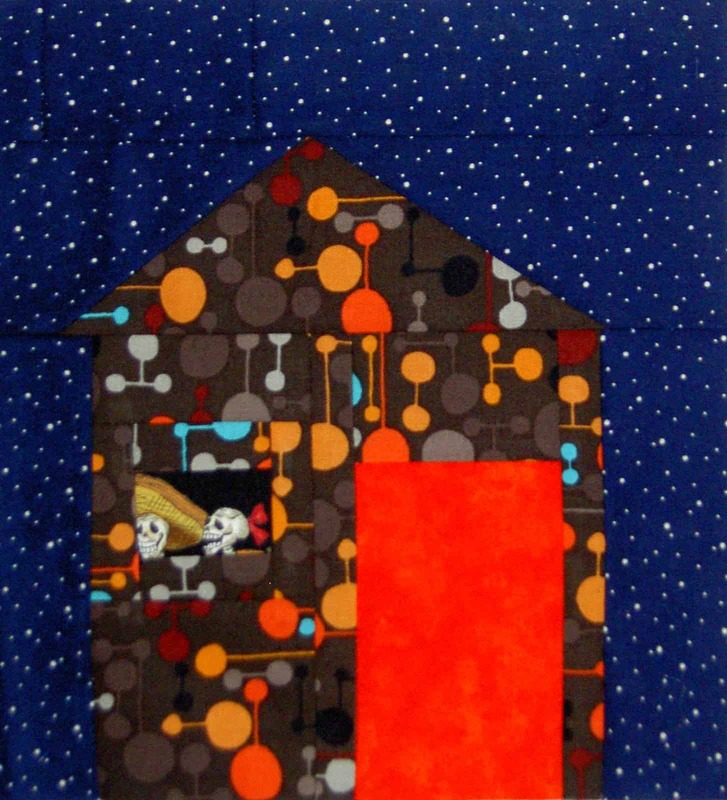 During the process of making WW1, I really got into a groove doing the red houses for Women’s Work 1. I thought it would be easy to get back into the groove, but it wasn’t. I had to rip and redo, because my ratio of roof to walls were off and looked strange. 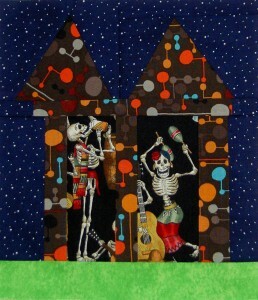 I had a little scrap of the Dia de los Muertos fabric so I made the above house, too. This is the last block I made and, as you can see, the skeleton fabric is different. It was a much larger print and a little hard to work with. I could have made a really large block, but didn’t want a block I made to dominate her quilt. I included the leftover fabric in the gift bag, so she can make some others. I hope she has already received the package before she reads this!